nowhere else to be found. George Attla says thank you for the chance to share what he wants youth and others to know. To learn more about the AKHF, go to http://www.akhf.org. Based in Fairbanks, Wright Air Service has been an unsurpassed supporter of the villages in the Koyukuk River area. George Attla wants to acknowledge and thank Bob Bursiel and his staff for their consistent, excellent, and safe service to many bush communities that depend heavily on daily air service to function. than any other bush airline in Alaska. To learn more about Wright Air Service, go to http://www.wrightairservice.com. 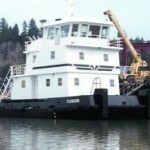 Ruby Marine is a Yukon River barge service based near Nenana, Alaska. George Attla wants to thank owner Matt Sweetsir and his crew for their excellent service to the bush communities located along rivers throughout Interior Alaska. Having been a river pilot who worked closely with Matt for many years, George says Ruby Marine is unmatched in its offering of safe and reliable river transport. 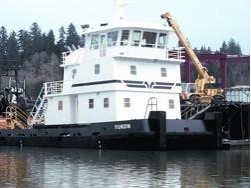 To learn more about Ruby Marine, go to http://www.rubymarineinc.com. Located on the University of Alaska campus in Fairbanks, the Museum of the North is the only museum in the state with a tripartite mission of research, teaching, and collecting. George Attla wants to thank the Museum’s Alaska Center for Documentary Film for their tireless assistance on the media editing and restoration required for this web-based education project. He appreciates that the Museum shares its knowledge and collections with local, national, and international audiences of all ages and backgrounds. 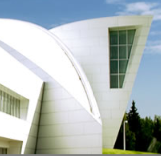 To learn more about the Museum of the North, go to http://www.uaf.edu/museum/.